History. 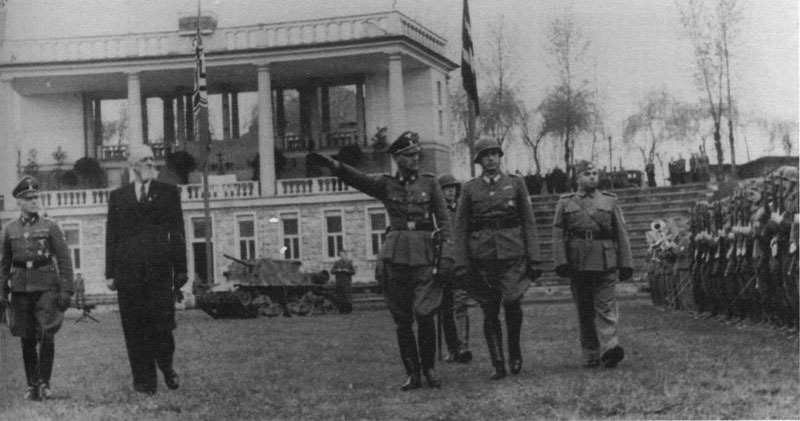 In second half of september 1943, Germany also occupied southern of Slovenia, the former Italian province of Ljubljana. In this area the Slovenski Domobranci militia was raised, fought against Yugoslav partisans together with german troops. Some unit of militia were equipped with 47/32 L40 light SP guns. 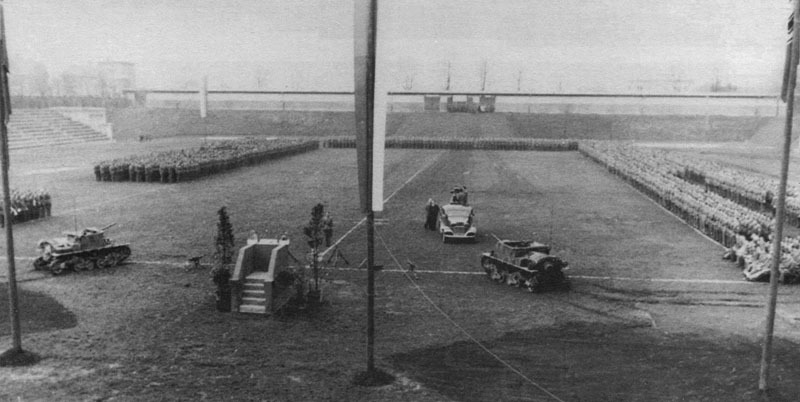 1944, September. 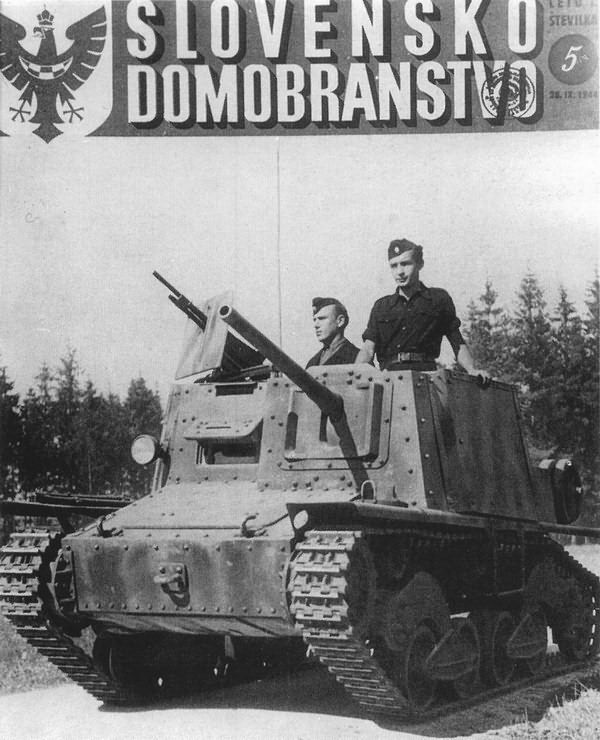 Semovente L 40 da 47/32 used by the Domobranci. 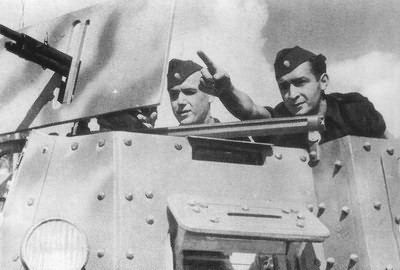 This vehicle has the modifications already described (modified superstructure, machine-gun support, radio) and it is probably camouflaged with green and red brown strips sprayed on the dark yellow base. Ca. 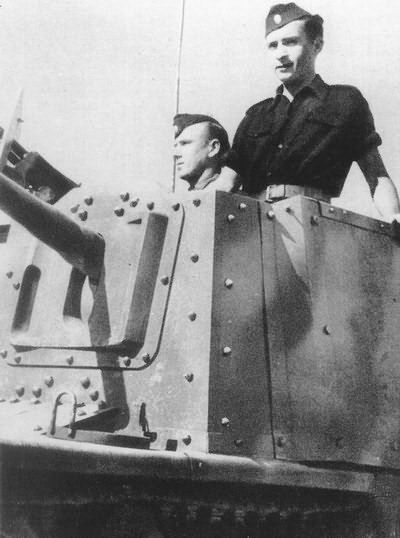 320 Semovente L 40 (including the platoon and company command vehicles) were produced before the Italian armistice, 74 after September 1943. 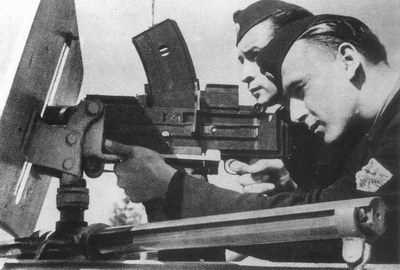 Close-up on the machine-gun position (an Italian Breda 38): the weapon is mounted on a rail, on which it could probably slide, and protected by a shield.